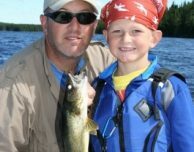 Walleye fishing is ideal sport fishing for the family. Our grandson Ryan is 8, and he’s such a happy camper when he’s fishing. 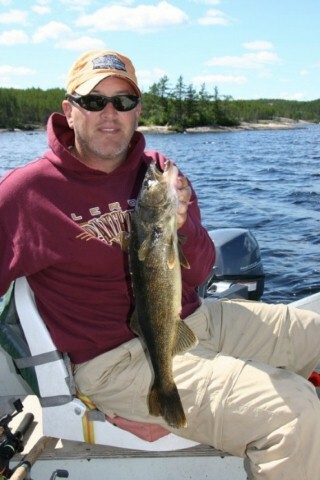 He gets so excited when he snags a fat Walleye! It’s adorable. Jennifer and the whole Tarr and Wilson clan would likely agree with us. 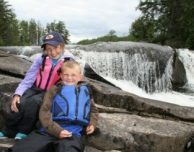 They’ve been to all but 2 of the Nestor Falls lakes. 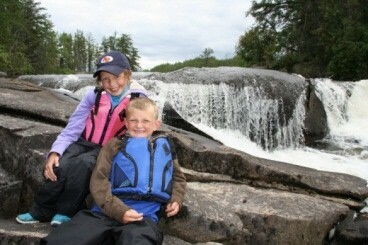 Most recently they were at Herod Lake, where they all did some Walleye fishing – including kids Emerson and Jasper. Big Fish. 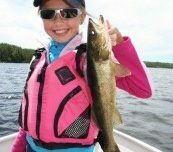 Especially for young kids or newer anglers, reeling in “a big one” is a sure-fire way to get them hooked! Trophy Walleye are pretty common in our lakes, and most folks catch Walleye that average at least 18-25″. …LOTS of Big Fish. 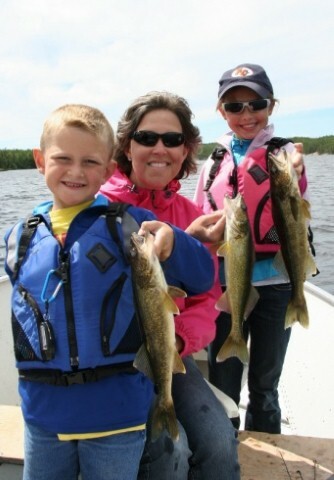 Every year, the number of Walleye in our Nestor Falls Fly-In lakes goes up! 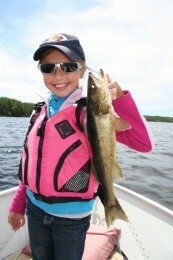 Jennifer’s family released 450 Walleye on that trip to Herod. Catch on Plastic Lures. 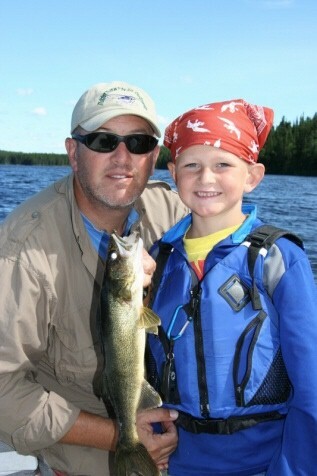 Emerson and Jasper caught Walleye on mostly plastics – realistic smelt, white 4″ worms, and sherbert worms. 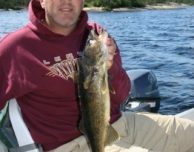 Being able to catch Walleye without live bait means one less thing you have to remember! One more – Walleye is tasty. 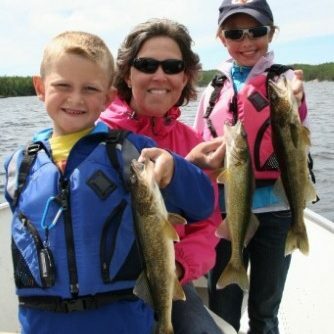 The best part of your family trip to Nestor Falls Fly-In will be eating fresh-caught Walleye on the deck, watching the birds and animals. How’s that for an adventure?